The Tellium display head by Tech Lighting combines design simplicity with practical technology. The simple display head puts light where you need it by allowing for a full 360° head rotation and 90° pivot to direct light beam to the desired location. The Tellium head is available in two on-trend finishes and can be customized to hang at four distinct stem lengths. Further customize the Tellium by combining it with the complementary Monorail or Monopoint systems by Tech Lighting. This low-voltage display head is ideal commercial lighting applications such as retail stores, libraries and galleries. Ships with an integrated lens holder to accommodate two dimmable MR16-size Glass Lenses or Eggcrate Louvers (both sold separately). Machined aluminum and brass housings create crisp edges. Head rotates 360°; pivots 90° to direct the beam. Integrated lens holder accommodates up to two lenses or louvers (sold separately). 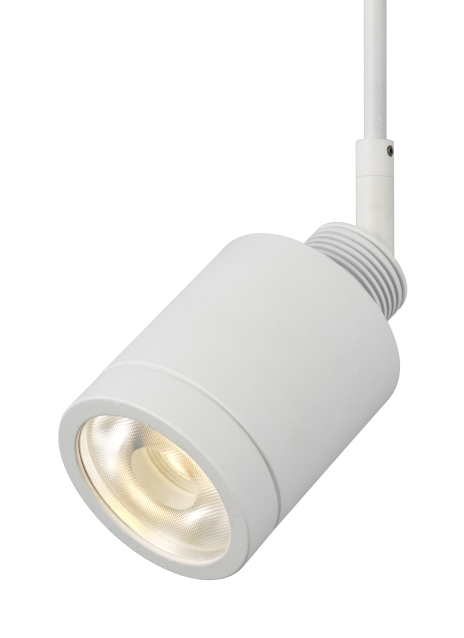 Accepts low-voltage, MR16 lamp of up to 50 watts (not included).